The thirteenth year of IROC competition took place in 1989. IROC XIII saw the use of the Chevrolet Camaro in all races for the final year, and continued the format introduced in IROC VIII. Race one took place on the Daytona International Speedway, race two took place at Nazareth Speedway, race three ran at Michigan International Speedway, and race four concluded the year at Watkins Glen International. 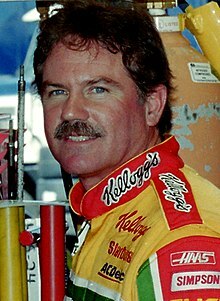 Terry Labonte won the series championship, and took home $204,900 for his efforts. Geoff Brabham and Rick Mears tied for tenth place in the championship standings, but Brabham was awarded the position due to a higher finishing position in the final race. Geoff Brabham started from the back of the field in a back up car after an accident on the first lap. This page was last edited on 16 August 2017, at 01:46 (UTC).